Ramat Beit Shemesh has transformed itself into one of the country’s premier religious Anglo communities. Over the past decade, Ramat Beit Shemesh has transformed itself into one of the country’s fastest-growing religious Anglo communities. A myriad of real estate projects continue to lure potential new immigrants and investors from English-speaking countries. In an effort to increase the visibility and accessibility of Ramat Beit Shemesh’s bustling real estate market to the Anglo community across Israel, a group of builders, interior designers, real estate lawyers, and insurance experts have banded together to create the first ever Ramat Beit Shemesh Housing Expo. The unique one-day event will take place on Thursday, June 30, 2016 from 10:30 a.m. to 9:00 p.m. at the Reishit Center in Beit Shemesh. 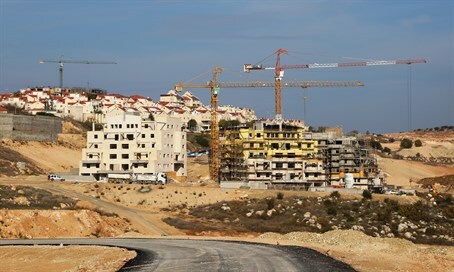 The Ramat Beit Shemesh Expo is expected to attract thousands of people from the greater Beit Shemesh area, as well as Jerusalem, Modiin, Petach Tikva, Gush Etzion, Ra’anana and other cities with significant Anglo populations. The influx of English-speaking residents into Ramat Beit Shemesh has played an integral role in the surge in quality educational and communal services are available to local residents. RBS also highlights an active Torah learning community. There are several primarily English speaking shuls whose rabbis are also native English speakers. The Housing Expo will also showcase an array of real estate agents, mortgage brokers, architects, outdoor and indoor furniture experts, as well as companies that offer smart home and alarm systems. Everything that a consumer would want to see under one roof in the heart of this active community will be available at the expo, taking place this Thursday.